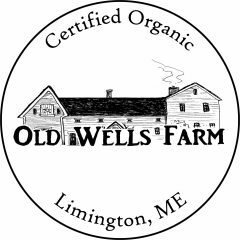 In purchasing a whole or half pig from Old Wells Farm, you will stock your freezer with responsibly, humanely raised, Certified Organic pork. For a family that purchases sustainable meat year round, you will save on your overall shopping costs and spend less time at the store. You are in control of how you’d like your pig cut and cured. We aim to raise our pigs to a weight range of 180-220 pounds hanging weight (innards removed). There is a $100 deposit for ordering a whole or half pig. The overall cost will vary depending on your butchering preferences. The typical retail cost of organic pork is $9-$12/lb.